We produce gins designed to be enjoyed in a G&T, and when it comes to which tonic water to add to your Wheadon’s we tend to recommend Fever Tree. Besides making fantastic tonic waters, they’re also using business for good; earlier this year it was announced that as part of their ongoing partnership with charity Malaria No More (UK) they will be raising £1 million over the next three years towards the global fight against the world’s oldest and deadliest disease. We’ll drink to that. As part of this fund-raising, from now until the end of August 10p from every promotional 500ml bottle of Fever Tree’s Premium Indian Tonic sold in the UK will be donated to Malaria No More until they hit a grand total of £150,000 – keep an eye out for bottles with special Malaria No More branded collars on your supermarket shelves. We are then expecting to see a return of last year’s successful “Raise a Glass to Fight Malaria” social media campaign this April, which last year reached 40 million people and saw Fever Tree make a £5 donation to Malaria No More for every “cheers” photo posted to social media of a gin and tonic with the hashtag #malariamustdie, raising another £150,000. Last year the campaign culminated on World Malaria Day, on April 25th, which this year is hosted by the World Health Organisation with the theme: “End Malaria For Good”. Every year the global death toll from malaria is around 400,000 people, and whilst it is one of the world’s deadliest diseases that threatens over half the world’s population, it is entirely preventable. After a period of prolonged decline (that saw deaths drop by half since 2000), in 2017 the World Malaria Report showed an increase in cases for the first time in a decade. Malaria will return if left unchecked, and it is; we cannot let that happen when defeating it altogether is within our grasp. "Many of the communities where we source our ingredients experience the devastating effects of malaria, and I have seen first-hand the amazing work that James and his whole team at Malaria No More UK do. I am hopeful one day we will be able to raise a glass to the global eradication of this disease." 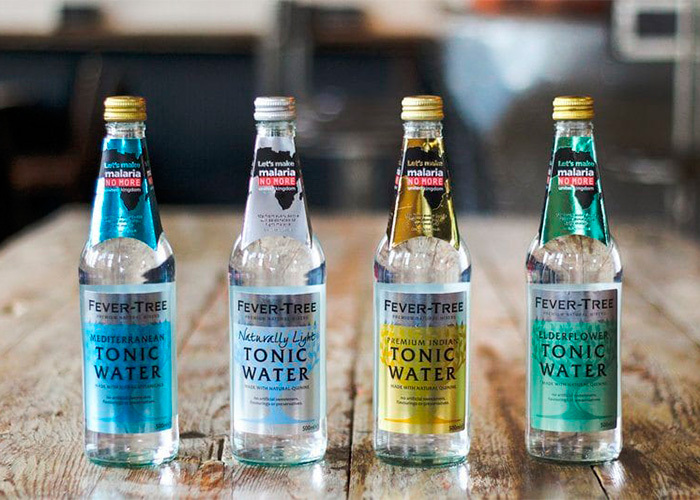 Fever Tree takes its name from the colloquial term for the cinchona tree, which produces the quinine (the alkaloid element that provided a therapeutic treatment of malarial fever) that is a key ingredient in tonic water. The first tonic water was thought to be created by 19th Century British Soldiers in tropical colonies, when they added sugar to the bitter cinchona bark and water mixture they were issued with; they then started adding their daily ration of gin, and the G&T came into being. “The gin and tonic has saved more Englishmen's lives and minds than all the doctors in the Empire”. If you ever pick up a bottle of tonic water as part of your weekly shop, then please do keep an eye out for Fever Tree’s promotional bottles so that you can do good through your Wheadon’s and Tonic and, when this year’s #malariamustdie campaign takes to social media again for 2019, raise money for the fight against malaria by raising a glass.